We are getting ready for Halloween over here. The kids are getting costumes ready. Just last night, my 12 year old son sewed his own bat costume. He basically sewed wings together to tie to a shirt. Pretty clever and simple. Here are some fun Halloween cookies that taste so yummy! These would be great for a Halloween party! My kids absolutely love these cookies and try to wait patiently for the chocolate to harden. These are super easy to make, they just take a little bit of time, but totally worth it and the kids love to help! Make a sandwich out of the crackers and peanut butter. Melt the white chocolate. Dip the sandwiches in the white chocolate. Set on wax paper to dry. Melt the black chocolate and put in a ziploc bag. Cut a small corner off the bag. Make your spiders and let dry. Enjoy! Hi everyone! It's been awhile since we have posted. I will let you know what we have been up to. But first, I wanted to introduce this post. We were invited to participate in the Around the World Blog Hop from Sew Stormy. 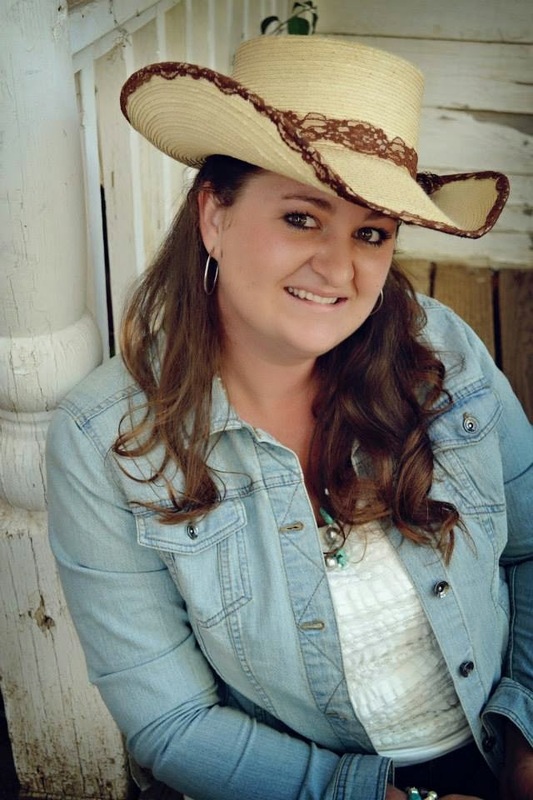 Shannon is amazing and we have mentioned her before on our blog. You will have to click on by and see what she is up to. 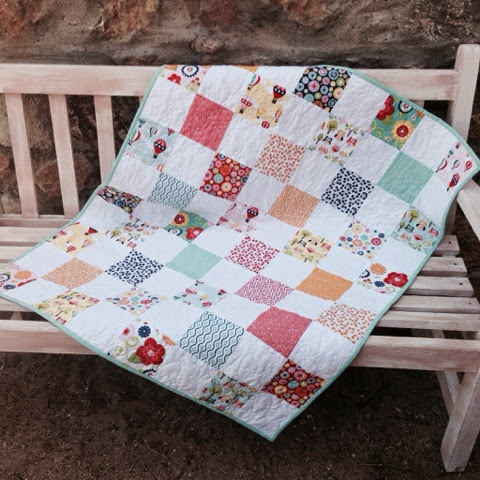 If you love quilting and sewing, then don't wait another second...go and check her out! Now I'm supposed to introduce myself. I'm Briana and I'm the oldest of the four sisters here. I am the mother of eight wonderful children. We are now entering into and right in the middle of the teenage years to a couple of boys. That is quite the experience! My husband is finishing up his OB/GYN residency next year and we are all super excited and hope to see him more. :) I give piano, violin and viola lessons after school as well. I am currently finishing up my Bachelors degree from Arizona State University. After this semester, I will have only two classes left. That has kept me busy along with the demands and joys of motherhood. That is one of the reasons why our blog has taken the backseat this past year. We have been really busy with our Etsy shop as well. If you want to check it out the link is Babblings and More. 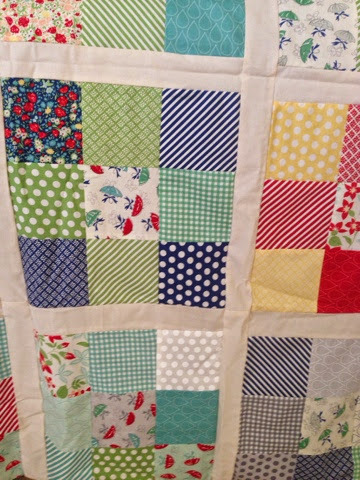 But I love to try new recipes and I love to sew, especially quilts. I love to craft and I go through different "phases" as to what I like to work on. Sometimes it's jewelry making, sometimes hair bows, sometimes it's refinishing furniture. 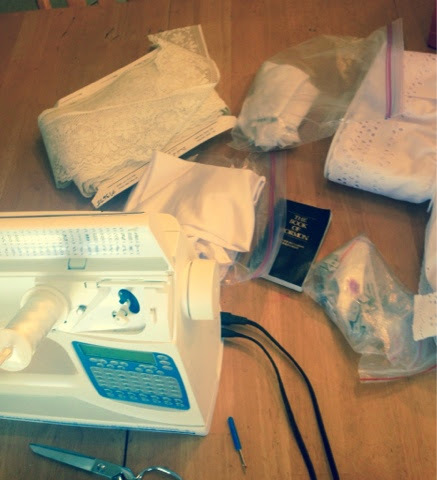 Making slips is always a joy when I listen to General Conference that can be found on the Mormon Channel App. Our slip shop has been keeping us busy and we are also preparing to do a few boutiques this holiday season. 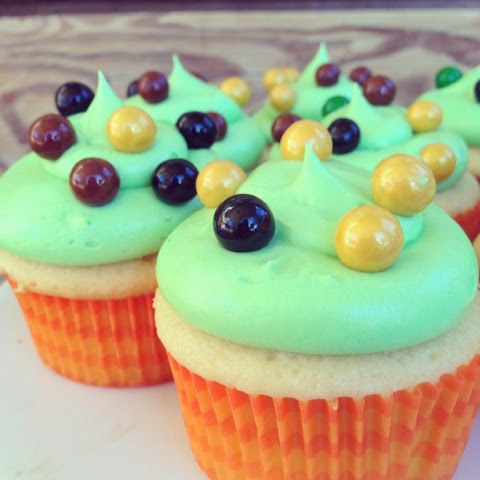 And who doesn't love a good cupcake? These were the cupcakes from my son's birthday. He was born on my 25th birthday and every year since then I enjoy making his birthday special! 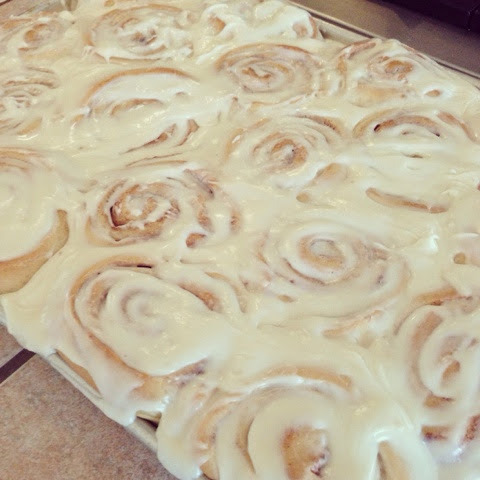 How about some yummy cinnamon rolls. When it starts to get chilly out, I can't help but make some of these babies! I completed my first quilt using free motion quilting on my machine. I'm in love! It was so much fun and I look forward to doing many more. 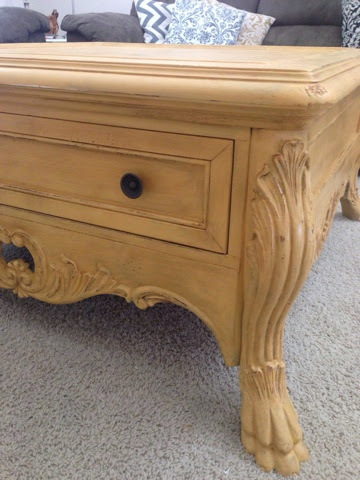 I refinished my coffee table in my front room using chalk paint. It was so much fun and so easy to do and I love the way it turned out! Trying out some new recipes...the family has approved. 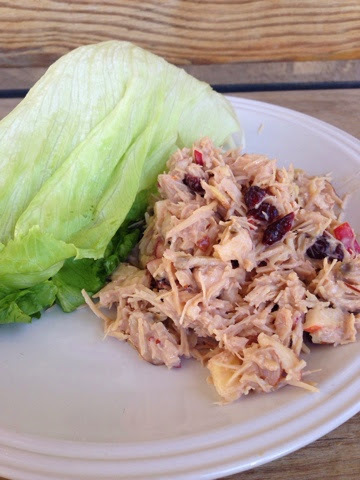 Look for some recipes in future posts like this Raspberry Chicken Salad Wrap. My teenage son's quilt that we are making together. My 10 year old son's quilt that we are making together. 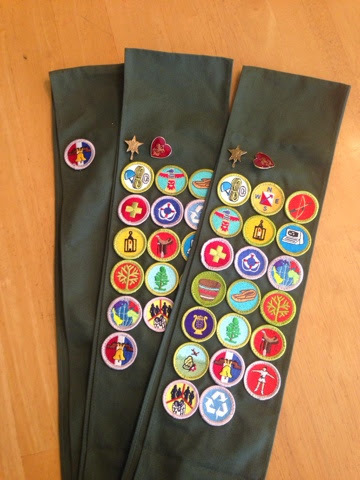 And lots of merit badges to sew on. That's what I get for having 5 boys within 5 years! My work differs from others because I never follow the recipe or pattern the way I should. I look at something, or taste something, and then think of how I could make it myself. 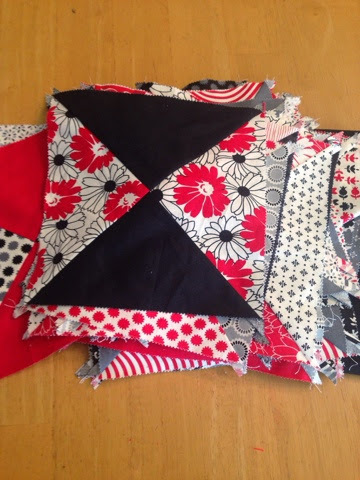 With quilting, I like to look at different patterns or books, pick one that I like and then recreate it in my own mind and then get to sewing. With food, I see or taste something and as I start to make it, I begin adding new and different ingredients. I learned to cook like that from my mom, I hardly ever saw her use a recipe, she would just start adding thing together. My challenge is remembering to write down what I did so I can share it. I love creating items that people will love. With quilts, I love it when my big teenage boys go and pick out a "girly" quilt out of the closet because they love cuddling up with one of Mom's Quilts. I love it when my 10 year old son compliments the dinner on how yummy it tastes. I love it when my kids ask if I can help them make a quilts or teach them to make bread. That is when it all pays off. HOW DOES MY WRITING AND CREATIVE PROCESS WORK? My creative process is working all the time in my head. I'm constantly looking for different things to make and do and then I'm always working it out in my head on how I what to create it. As far as the writing goes, I try to write it quickly, so I can get back to doing other things. (So hopefully there aren't too many grammar and spelling mistakes.) A mother's work in never done! For the next week I will tag the sisters from the blog Wayward Girls Crafts. 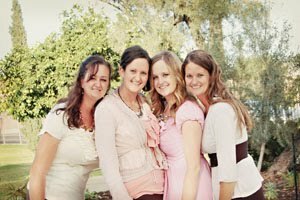 The are a group of sisters, along with their mom that craft and look good doing it! We have been following them for years now and you will love them just as we do! With summer in full swing and kids out of school, it's a great time to get out with the kids and go places. Let me tell you just how excited I was to hear that Graco just introduced a few new strollers! These strollers are amazing and make the busy lives we lead a whole lot easier. adjustable canopy with UV50 protection." MSRP: $329.99 (Stroller), $429.99 (Travel System with SnugRide® Click ConnectTM 35) I absolutely love this stroller! There are so many things I love about it! I have to first mention all of the riding options. I like how there are so many different options. And the ease of folding up the stroller is great! I have kept this stroller in my van and I'm so glad to have it! Sometimes I make an excuse to go somewhere just so I can use the stroller! I have loved having this at the park and at the store! This stroller has so many options. You can create a "new stroller" with the many different ways to move the seat around. Here is what the "bassinet" looks like. It is completely enclosed. There is no way your sleeping infant can fall out. I love this! It comes with a car seat. Now I just have to add this in...I have eight children. I have gone through a lot of car seats and tried so many different styles and brands. But when my husband saw and tested this car seat out, he said that it is way better than any of the car seats we have used in the past. And that is saying a lot! It is light and easy to carry! You can completely take off the seat, which is super easy to do, and attach the car seat onto the stroller. Or you can just attach it into the stroller in addition to the normal seat that the stroller comes with. You can move the seat to face forward, or to face backward. I love this feature! My kids love this feature! Great move Graco! It is great for kids and babies alike! All my younger are always begging to be the one to sit in the stroller. It folds up easy and has little "legs" to hold the stroller up. And you can really fold it up with one hand! I love that! And here is the black clip that holds the stroller closed. And I love the room that the basket underneath has! It can hold a ton of stuff! And I always have a lot of "stuff" to put in it! This stroller is amazing! I use it all the time! I actually keep it in my house and my daughter crawls into it all the time wanting to go on a walk or a jog. It has been used for many, many miles of "runs". I have used it with my one year old, my three year old and my five year old and it has pushed so nice no matter what child I was taking. I absolutely love this stroller and will get many more miles of use from it! I really love how far down the canopy goes down. It's perfect to keep the sun out of the little one's eyes! And both of the strollers have a UV protection of 50! The brakes are really easy to use and take a look at those shocks and tires! This stroller was my husbands favorite and I think this might just be the reason! It just looks tough! And is very sturdy! There is a little flap so you can keep an eye on your little one. And I always put my phone and keys in the little pockets right under the handle. And what's really great about Graco, is the interchangeability of the car seats and strollers. The car seat from the Sport Click Connect can be used for the jogging stroller effortlessly. You just have to flip up the flap and the car seat snaps right into place and there are no worries of the car seat popping out of the stroller! And the canopies completely shade the baby from the sun! Overall, I have loved everything about these strollers! They are both absolutely amazing! They both serve their purpose and I would strongly suggest both of them to anyone who is stroller shopping. You cannot go wrong with either one of these strollers! Disclaimer: Graco sent us these products to review. All the opinions stated are our own. My kids LOVE to jump on our trampoline with the sprinklers on during the summer. But I get tired of setting the sprinkler in the center of the tramp then having to move it to water other parts of the lawn, then resetting it. So we came up with a great plan. This is our original idea and haven't seen it anywhere else. You need to connect and glue the 2 long PVC sticks with the coupling. On one end glue on the PVC Hose Connector. From here, find the best place that is closest to the water hose so that you aren't connecting the hose in an awkward area. You will zip tie the hose connector and PVC pipe to the trampoline at that spot. Then move around about 4 ft and put another zip tie there, and so on until you get to the end. Once you have gone around the whole tramp and secured it with zip ties you should be back to the hose connector. Cut the pipe and glue the end cap on here. Next, take the drill and drill holes slightly slanted to the center of the tramp every 2-3 feet. The closer the holes are the lower it will spray, the farther apart the hole the higher the water will spray. Make sure the glue is dry before you turn on the hose. Have fun and always supervise kids when they are jumping on a trampoline and are around water. I was reflecting on Motherhood this afternoon. I woke up this morning to one of my sons bringing me a chocolate chip cookie that we made the day before on a plate with a cup of water. It was really sweet, he is always so thoughtful and he wanted to make the day extra special. My husband was still at work from the day before. He started his shift at 6 or 7 am Saturday morning and was scheduled for a 24 hour shift at the hospital in Labor and Delivery. When he works these types of shifts, it really isn't a 24 hour shift, but more like a 27 hour shift. The hours that residents works are crazy, but that's a whole other topic. He emailed me and sent me a sweet text wishing me Happy Mother's Day. And he was so thoughtful to buy me airline gift certificates so I could visit my sisters and schedule a fun trip with them since I live a couple states away from them. This was totally unexpected because I have only been on an airplane one other time in the past 30 years. Crazy, huh? So I got out of bed and made my daughter's favorite bread, banana bread, with her. Which ended up being a baking session with all of my daughters, and I absolutely love it! Then I taught one of my sons how to make meatloaf. He made it entirely by himself. He was so excited to eat it for dinner. The day went on. I opened hand made gifts from my children. Gifts like bookmarks, homemade soap, coasters, cards, coupons to do chores without complaining. (I love everyone of them!) I got ready for church as one son cut various fruits to put in drinking water for the women at church and another son washed and wrapped baked potatoes in foil for dinner. I taught one son how to tie a tie as he got ready for church. He was so excited that he did it all by himself! My husband came home...exhausted. He said good morning to everyone and then went to bed. We all finished getting ready for church and hopped in my van. We arrived early...yeah! And I listened to my son give a talk...as I wrestled, and I mean wrestle, a couple of kids trying to get them to sit still and be quiet. (Talk are similar to a mini sermon that the youth in our church prepare and give to the congregation.) He did an amazing job! If fact, he made me cry from all the sweet words he said. And let me tell you, it wasn't a pretty cry. It was a pretty ugly cry. And it didn't help the situation when my 3 year old daughter kept asking "Mom, why are you crying?" over and over again. And I couldn't answer her...because I was crying too hard. So after all that, I just sat there and reflected on Motherhood. Isn't it amazing!? It's hard work...really, really hard work. It's exhausting and tiring and exhausting all over again. We shed tears of joy, sadness, frustration, and sometimes tears and we don't even know why. We cook and clean and wipe faces and walls and windows. We survive on little to no sleep. We laugh and love, we give hugs and get hugs. We smile when they accomplish something big, we smile when they accomplish something little. We rejoice in the good that we see in them. Isn't Motherhood great! It's a noble and wonderful thing! As hard as it may be, as demanding as it may seem, the rewards are immeasurable. 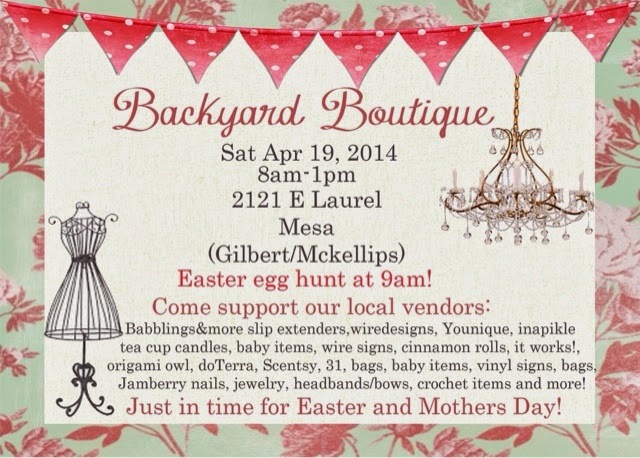 Come and support your local venders in Mesa, AZ! This Saturday morning! Everyone LOVES whiter teeth! I don't know about you, but I have tried several Teeth Whitening Systems... 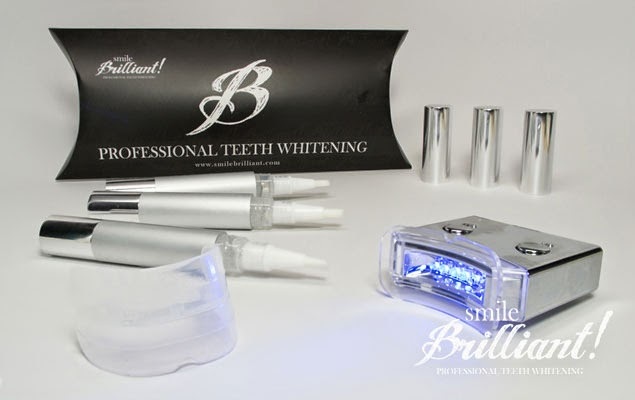 So, I was thrilled when Smile Brilliant contacted us about review their new LED Professional Teeth Whitening Kit! This whitening kit includes a set of teeth trays, the whitening serum pen, and a LED light. I really didn't know what to expect when I received this kit, but I have really enjoyed it! How it works is you apply the serum directly to your teeth, put the trays on and then add the LED light. NOTE- I had to do the LED light when my children where asleep because they wanted to play with it! But, you can whiten your teeth without running the light the entire time. I timed myself by putting on an episode of Downton Abbey and watched it when I was whitening. Perfect timing and made it so enjoyable! My teeth usually get SUPER sensitive when I have tried OTHER kits. I did not notice any sort of sensitivity with this product! You can also use this product with already fitted teeth trays and that is what I did. I used my clear retainer and it was super convenient! Here is a picture of me after using 1 full pen. You cannot tell much of a different from the picture, but I assure you... There is a HUGE difference! I was so glad that I did this review! It was just in time for our new family pictures! It gave me much more confidence to take these pictures. I definitely recommend it! Smile Brilliant has offered to giveaway to one of our readers a LED Whitening Kit- a $39.95 value!